CBC Old Boys have a membership that is designed especially for those who would like to enjoy the social aspect of the club without being involved in any of the sports that we offer. 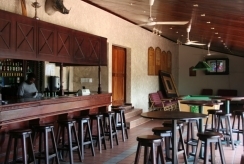 Being a social member allows you the opportunity to make use of the bar area to have a drink or watch some sport on tv. Social Members are also permitted to use the cricket oval for low impact excercise such as jogging. They are not however permitted to use the Cricket pitch, Cricket Nets, Squash Court or Bowling Greens unless they are also members of these sub sections. Fees: Social membership subscription fees for 2017 are R535. This fee increases by roughly 10% per annum. Please note that our membership fees are not calculated on a pro rata basis. Students and pensioners, see all main club fees here. 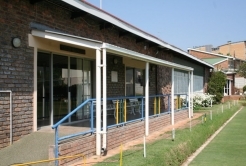 The CBC Old Boys Bowling club is situated at the south west side of the property. It will be on your left as you drive in the property. The Bowling Club boasts their own Clubhouse which means that as well as enjoying a leisurely game of bowls you can also relax in the bar and either watch others play or watch sport on tv whilst enjoying an ice cold beverage. The bowls club is open on Wednesdays, Fridays, Saturdays and Sundays. 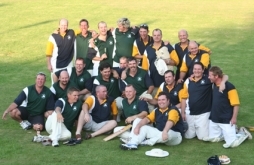 The cricket club at CBC Old Boys Club is one of the oldest sub-sections. We currently have 4 senior teams playing under the CBC Old boys flag as well as a further 2 teams that are affiliated to the club. We host 1st and 2nd team games at our home field and these games are enjoyed by anyone in and around the bar area. Info regarding the Junior section will be updated shortly. Cricket Membership Subscriptions -Please contact Tom Scheepers (scheepers99@gmail.com) for more info on the forthcoming season. 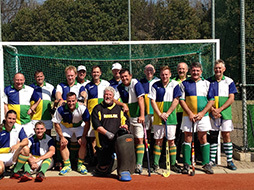 CBC Old Boys Hockey Section the oldest sub section. We currently have 1 sides entered in the North Gauteng league. We have the 12 Apostles which are our veteran players, they play in the Masters League. For the last 5 years or so we have hosted the majority of the Masters League games. With hockey here the club buzzes with activity. CBC has one football side in the 2nd division. 2012 was the first year we entered a team after several years of no football at the club. Our side did very well coming in 4th place in their first season back. In their second season back they smashed all expectations by finishing 2nd in the league and runners up in the cup. Well done guys and thanks for holding the CBC name high. Fees: For the latest fees, click here. 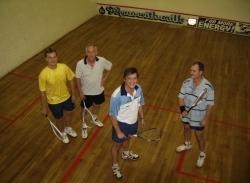 CBC Squash Club’s home grounds consist of 3 squash courts as well as a bar and lounge in the gallery. Our Squash club an affiliation with TUT and together we field more than 15 teams. Our Squash members are highly sociable, enjoying braai’s on their balcony on a regular basis. Fees: To see the latest fee structures, click here. The only other fee incurred by members is a R13 charge per hour of playing. This fee is for the use of lights in the court. Non-members pay R35.